Item Number : 02241Feature : ESPRESSO WARDROBEDimensions : 3.. Item Number : 02668Feature : WHITE KITCHEN CARTDimensions : .. CABINET W/3DOORS08278DIMENSION: 47" x 15" x 35"HFEATURE: espresso finishPac..
Wood Finish SANDBLASTED WHITEMetal Finish WEATHERED GUNMETALDescription	&nb..
Wood Finish SANDBLASTED WHITEDescription .. FILE CABINET12106DIMENSION: 16? "x 19? "x 27? "HFEATURE: cherry/espresso finis.. Item Number : 12155Feature : KIT-HUTCH , BUFFETDimensions : .. Item Number : 12158Feature : KIT-CURIODimensions : 51” x 20”.. Item Number : 12244Feature : WINE TOWERDimensions : 19"x 15"..
WARDROBE12248KITDIMENSION: 32"? x 22?" x 72? "HFEATURE: espresso finish.. KITCHEN CABINET12258DIMENSION: 28?" x 16? "x 70? "HFEATURE: espresso finish..
Classic elements combine to create the refined styling of the Moorewood Par.. Finish Color MIRRORMetal Finish BLACK NICKELDescription	Width	Depth	HeightS.. Finish Color CAPPUCCINOMetal Finish CHROMEDescription	&nb.. Finish ColorMIRRORMetal FinishBLACK NICKELDescription	&nb..
2-Door Tall Cabinet Cappuccino And Clear 910197When you add an accent cabin..
Wood FinishSMOKEY WALNUTWood Finish 2COFFEE BEANDescription &nbs.. Fabric Color GREYWood Finish SMOKED PEPPERCORNMetal Finish GOLDDescription	..
Model Number: 3512Dimensions:Width: 24.25 x Depth: 15.75 ..
5-Drawer Accent Cabinet Silver 950849This mirrored accent cabinet has plent.. Item Number : 60006Feature : KIT-HUTCH , BUFFEETDimensions : .. Item Number : 60078Feature : KIT - HUTCH , BUFFETDimensions :&nbs.. Item Number : 60270-KITFeature : QUINLAN HUTCH , BUFFETDimensions.. Item Number : 60544_KITFeature : CHANTELLE HUTCH , BUFFETDimensio.. Item Number : 60685_KITFeature : MAHAVIRA HUTCH , BUFFETDimension.. Product DetailsAlpine Furniture 6078-06 Uptown Kitchen Cart Castors Dark Mo.. Product DetailsAlpine Furniture 6079-05 Caldwell Kitchen Cart Antique Cappu.. Item Number : 60804Feature : ROVLEDO HUTCH , BUFFETDimensions :&n.. 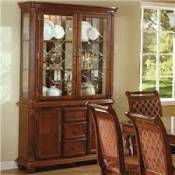 Item Number : 61104Feature : VERSAILLES HUTCH , BUFFETDimensions .. Item Number : 61134Feature : VERSAILLES HUTCH , BUFFETDimensions .. Item Number : 61153Feature : VERSAILLES CURIODimensions : 54.. Item Number : 61158Feature : VERSAILLES CURIODimensions : 54.. Item Number : 61284Feature : RAGENARDUS HUTCH , BUFFETDimensions .. Item Number : 61294Feature : VINTAGE OAK RAGENARDUS H , BDimensio.. Item Number : 61303Feature : CURIODimensions : 49" x 19" x 7.. Item Number : 62023_KITFeature : VENDOME CURIO CABINETDimensions .. Item Number : 63005Feature : VENDOME HUTCH , BUFFETDimensions :&n.. Item Number : 63155Feature : DRESDEN HUTCH , BUFFETDimensions :&n.. Item Number : 63544Feature : CHANTELLE HUTCH , BUFFETDimensions :..